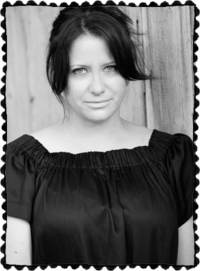 Tonya Hurley is the New York Times best-selling author of the highly acclaimed “ghostgirl“ book series; creator, writer and producer of animated and live action hit television series; writer and director of independent films; writer and director of commercials for Playstation, Gameboy and Warner Home Video; and creator of groundbreaking videogames. 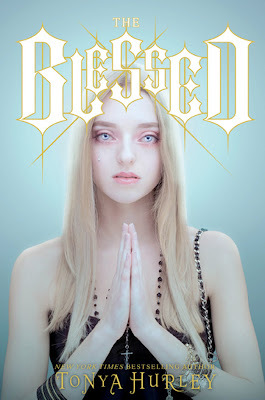 Her new young adult trilogy, THE BLESSED, will be released by Simon and Schuster in Fall 2012. When I was very young, we didn't' have much money, so I used to check Maurice Sendak’s ‘Where The Wild Things Are’ out of the school library every week. At the end of the school year, the librarian gave me the book as a gift. I was over the moon. It meant everything to me -- both the book and the gesture. I had the book memorized by this point, so I put masking tape over the text and made up my own stories to Sendak's illustrations. I still have it sitting on my shelf with the words taped over. I suppose that was the start of it. It's how we learn about ourselves, our families, our history and about each other. Storytelling is really relevant to the martyr legends that I reimagined for The Blessed. These legends were passed down over the centuries as part of an oral tradition among ordinary, mostly illiterate people and in written text by clergy and became an important influence on western culture and history. So, for me, storytelling is a way of communicating values and ideas, and of firing and inspiring imagination, personally and collectively. I believe that these martyr stories are the first YA stories that we have. Nothing bad ever happens to a writer, it's all material. 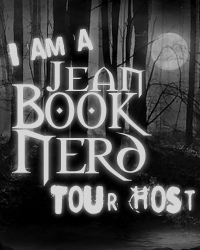 In your new book; The Blessed, can you tell my Book Nerd community a little about it? It’s a supernatural romance about three teenage girls – Lucy, Cecilia and Agnes - in Brooklyn at a low point in their lives and a mysterious boy who believes they might just be the incarnation of ancient martyrs. Each girl has a real New York story of trying to make their way, on three on the skids, and then they find out that they are part of this extraordinary lineage. It’s a dark, gritty and sometimes violent story that explores themes of love, self-acceptance, death and faith and reimagines ancient martyr legends in a modern context. Kind of like a supernatural bachelorette with blood. What part of Agnes did you enjoy writing the most? She’s the most idealistic and romantic of the three girls and the only one still in high school and living with a parent, who she's constantly at odds with. It was great writing her because she was such a contrast to Lucy and Cecilia, who are much more independent but also closed down emotionally. There is a hopefulness and openness to her, despite the dire circumstances in which we meet her at first. For those who are unfamiliar with Cecilia, how would you introduce her? She is a self-sufficient and uncompromising indie rocker with an artist’s soul. Cecilia wants to be adored but strictly on her own terms. Like all artist’s however, she is driven by her insecurities and appetites in her personal life and frequently finds herself trading her dignity for a place to sleep. She's chock full of badassery, but at the same time, she is vulnerable. 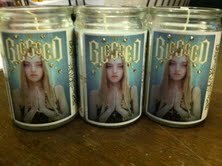 I’m working on the second novel in The Blessed series right now, so that's taking up all of my time. I’ve also just finished a new ghostgirl novella for this Christmas called ghostgirl Xmas Spirit: It's a Wonderful Afterlife. The ebook is out in the U.S. now. Wow! That's a great question. Maybe Truman Capote's Holly Golightly from Breakfast at Tiffany's since they're both social climbers. Tonya Hurley’s captivatingly addictive debut novel, The Blessed, tells the meeting of three young women in a hospital in Brooklyn, New York. Cecelia, Agnes, and Lucy are all in the hospital from different close encounters with death. A mysterious stranger, Sebastian, makes himself known to the girls and give each girl an antique chaplet upon exiting the hospital. The three girls figure out what Sebastian is, or at least what they think he is. Going on their separate ways, all four eventually end up together again after seeking refuge from a storm. Their second meeting takes a turn for the weird as they learn more about their not-so coincidental meetings. The deeply rooted religious themes in this book are unique and highly interesting. As the story progresses, it gets darker and the plot thickens as readers learn more about the three girls. The twists and turns that are revealed make the reading interesting and will keep readers turning the pages. Tonya’s writing etiquette is remarkable. Although the book gives several points of view, I found that its flow and transitioning from one character to the next was done well. It is truly a change up from the usual reads and new people to this genre will appreciate it. 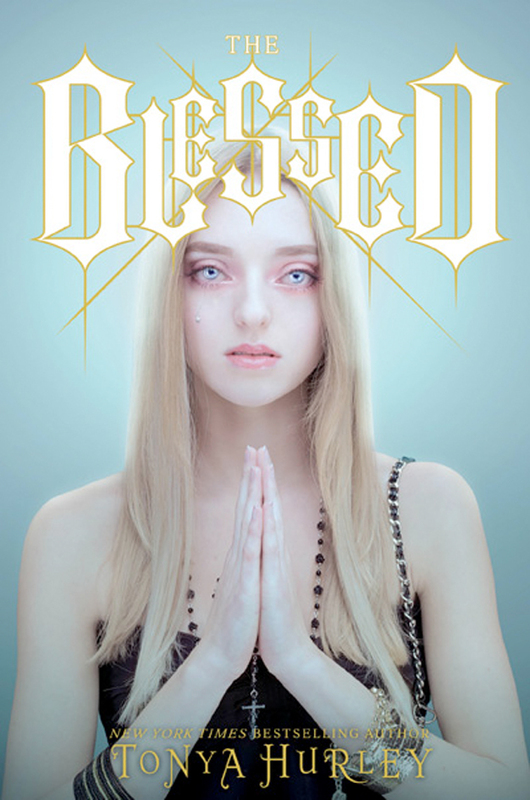 The Blessed is a great start to a trilogy, it provides the right amount of momentum that will lead readers to devour the upcoming two books. Thank you Tonya for making this giveaway possible.